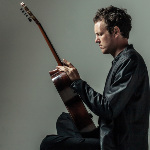 It took Derek Gripper untold hours of painstaking work to transcribe note-for-note the complex compositions of Malian kora player Toumani Diabate and find a way of playing them on classical six-string guitar. The results appeared on the his ninth album, One Night on Earth marking a meeting point of the written tradition of Western classical music and the oral tradition of the West African griots. Critical acclaim was quick to follow. Classical guitar legend John Williams said he thought it was “absolutely impossible until I heard Derek Gripper do it”. Toumani Diabate himself asked for confirmation that it was indeed just one person playing one guitar. He then immediately invited Derek to collaborate with him at the Acoustik Festival Bamako in early 2016. 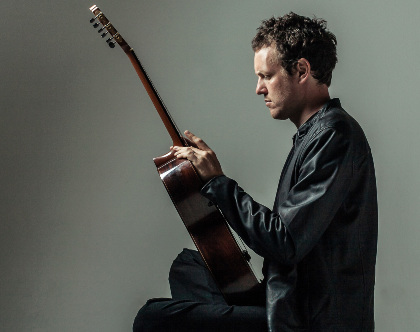 He continues his inspired interpretations of West African composers on his latest album, Libraries on Fire.